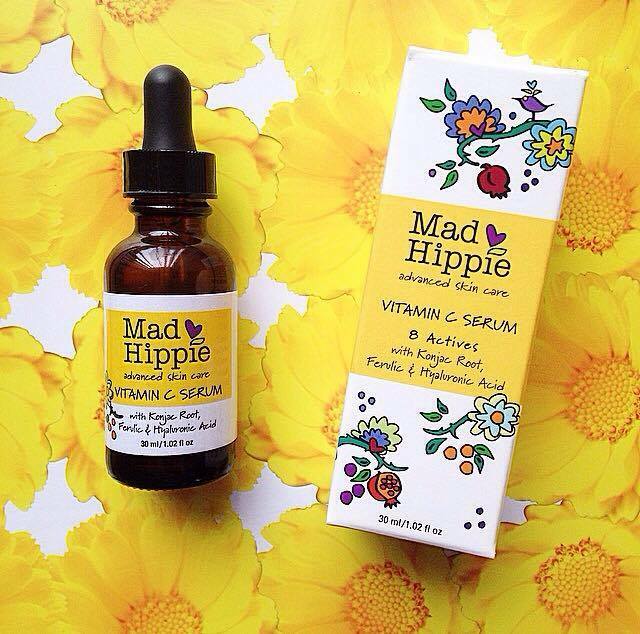 The Vitamin C Serum by Mad Hippie is the third product I was sent to test out and review for you guys. 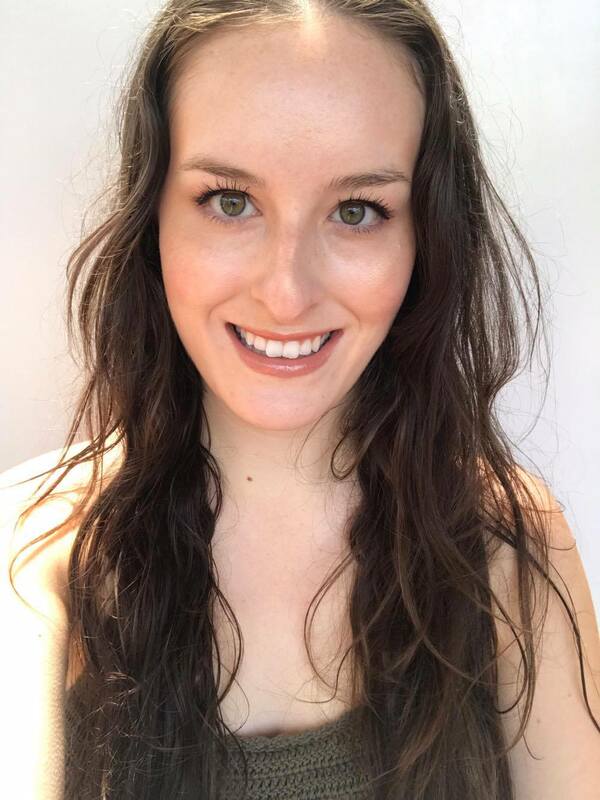 You can find reviews for the Exfoliating Serum, Cream Cleanser, and Vitamin A Serum on my website (use the search bar on the right hand side), but if you are a regular reader of my blog you would know that all of the products I have tried from Mad Hippie have become firm favourites and permanent staples in my routine. I am happy to report that the vitamin C serum has been just as transformational as my other Mad Hippie products, and you can find below my full review on why I love this product so much. 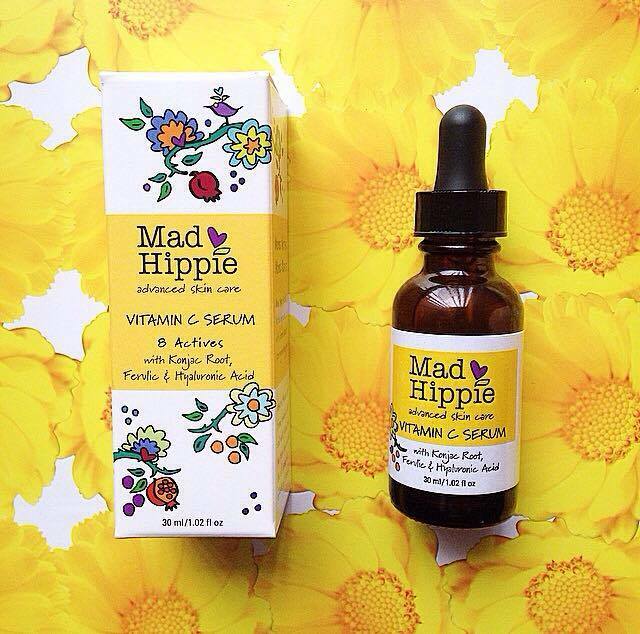 Mad Hippie's Vitamin C Serum comes in a brown glass dropper bottle and has the most beautiful yellow floral label. Just seeing this packaging every morning really brightens my day. The serum is a thin clear liquid which absorbs into skin quickly without any stickiness. The scent is light and sweet, and smells to me like a combination of floral and citrus tones. Mad Hippie claims that this serum will 'brighten, tighten & smooth the skin, while reducing the effects of photoaging'. This serum certainly does contain a plethora of skin loving ingredients, including Vitamin C. Vitamin C is important for collagen production, and can help reduce the appearance of wrinkles and discolouration, while providing protection against photodamage. Mad Hippie employs Sodium Ascorbyl Phosphate; a more stable and bioavailable form than L-Ascorbic Acid, to provide the same benefits without the risk of oxidation and irritation that L-Ascorbic Acid carries. This serum also contains Vitamin E and Ferulic Acid; two ingredients when used together with Vitamin C, are found to have a compounding photo-protective effect on the skin. I love that this serum also contains hyaluronic acid; which works to plump up the skin and reduce the appearance of wrinkles. Hyaluronic acid is a naturally occurring substance in the body that begins to deplete as we age. A new to me ingredient in skincare; Konjac Root Powder, is an exotic flower from Asia that helps to soften & smooth the skin while forming a thin protective barrier. It is rich in nutrients such as copper, zinc, phosphorus, fatty acids, protein, carbohydrates, lipids, potassium, magnesium, iron, niacin, folic acid & vitamins A, E, C, D & B! 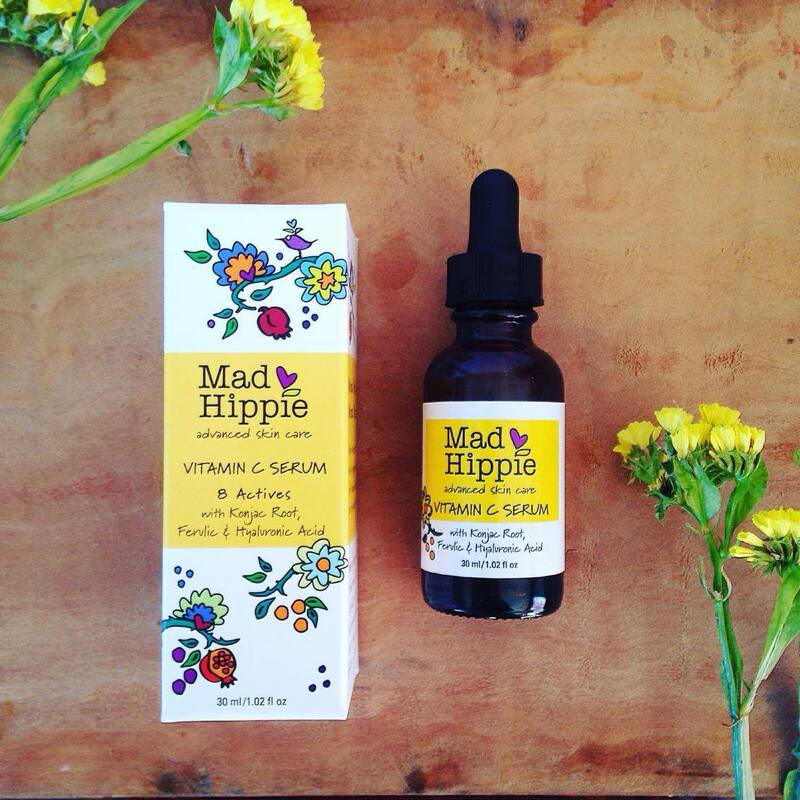 Mad Hippie's Vitamin C Serum also contains chamomile to provide a soothing and calming protective shield, grapefruit to remove dead skin cells, and clary sage to balance sebum production. Full Ingredients: Water Deionized, Vitamin C (Sodium Ascorbyl Phosphate), Alkyl Benzoate, Vegetable Glycerin, Water, Glycerin, Sodium Levulinate, Sodium Anisate, Clary Sage (Salvia Sclarea), Grapefruit (Citrus Grandis), Hyaluronic acid, Amorphophallus Konjac Root Powder, Aloe Barbadensis Leaf, Vitamin E (Tocotrienol), Ferulic acid, Chamomile Flower Extract (Recutita Matricaria), Sodium Phytate, Xanthum Gum, Hydroxyethylcellulose. I have been using this serum every morning, for over a month now. I apply to clean dry skin, and wait until it is fully absorbed before applying my moisturiser, sunscreen etc. I am generous in the amount I use, and probably use almost half a pipette worth of product over my entire face. I find I do have to moisturise after applying this serum as I have really dry skin and this product makes my skin feel taut and in need of some moisture. I really have seen a difference in my skin since adding this product to my routine. My skin looks brighter, and calmer. My old acne scars seem to be fading at lightning speed, and any new scarring and pigmentation seems to heal much quicker than usual. My skin tone just seems generally more even and refined. I highly recommend this serum, and all of the Mad Hippie products I have tried. You can pick this serum up online at iHerb, or on Mad Hippie's website, here.